New Jersey online poker players hoping to boost their bankrolls with a first-time deposit bonus will be out of luck until about a month after the launch date. Players who were counting on earning extra bonus cash before Christmas by accepting sign-up bonuses that poker rooms typically offer will find no such promotions available in New Jersey’s online gambling regime. New Jersey Division of Gaming Enforcement (DGE) Director David Rebuck issued an advisory bulletin Wednesday that put the kibosh on “wagering-based” bonuses for 30 days following the Nov. 26 launch. 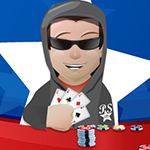 Such bonuses have long been an industry staple and many poker players have been known to jump from one poker room to the next after clearing generous deposit bonuses that usually offer a 100% bonus of the funds deposited up to a certain amount. Online casinos generally offer similar bonuses upon signup that specify play-through requirements before bonuses are released to player accounts and can be withdrawn. 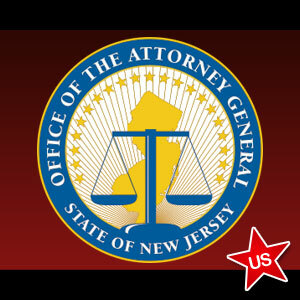 After various online gambling licensees in New Jersey inquired as to the marketing efforts allowed upon launch, the DGE released a four-page bulletin explaining that such promotional endeavors may not commence until at least thirty days after Internet wagering is available to the general public . Following the 30-day period, those sites who do intend to offer such bonuses must first show the ability to provide revenue reports that are meticulously accurate. The bulletin also made it clear that players who do avail themselves of bonus offers and then decide to withdraw their funds before the bonus requirements have been met can do so as long as funds remain in their accounts. Such a scenario would result in losing the bonus offer, however. It was also spelled out that no caps be placed on the amount allowed to be won by players in relation to a bonus. Rebuck insisted in the bulletin that all parameters of the terms and conditions of promotions and bonuses be made entirely understandable to players. The invite-only soft launch set for Nov. 21 will not be operating 24/7, it was reported by the Press of Atlantic City. Participating players will be able to gamble for eight-hour periods from 6 p.m. until 2 a.m. on Nov. 21 and 22. The next day will see the playing time extended from 8 a.m. until 12 midnite, a 16-hour window. Testing will kick into high gear on Nov. 24 and 25 when the online poker and gambling sites will be open 24 hours and will not be closing their virtual doors. It must be stressed that DGE officials are using the test period to make sure that all operations are running smoothly. Should problems or issues develop that thwart the ability of players to gamble or the sites themselves to not operate as intended, the soft launch period may be extended. However, the entire industry is hoping that any bugs or glitches can be worked out during the five-day soft launch period and that all systems will be go on Nov. 26. That is, of course, all systems except the bonus offers that will have to wait until after Christmas.